Student desk in solid teak. Rectangular top with drop-down sides. Pair of "compass" type side legs, ca. 1960. 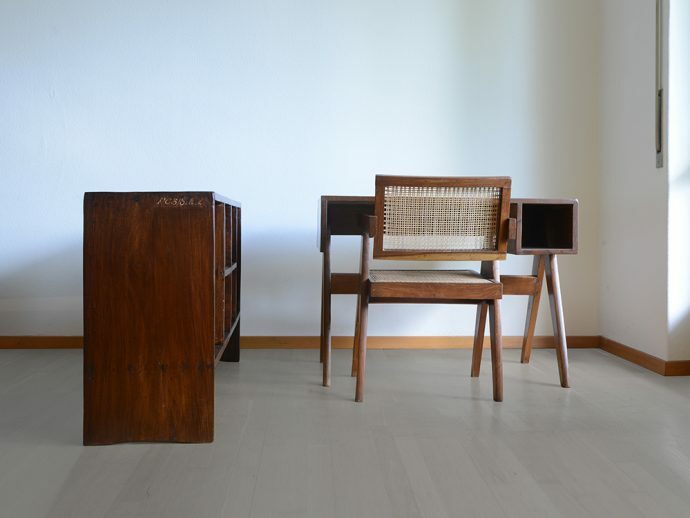 Solid teak Chandigarh. 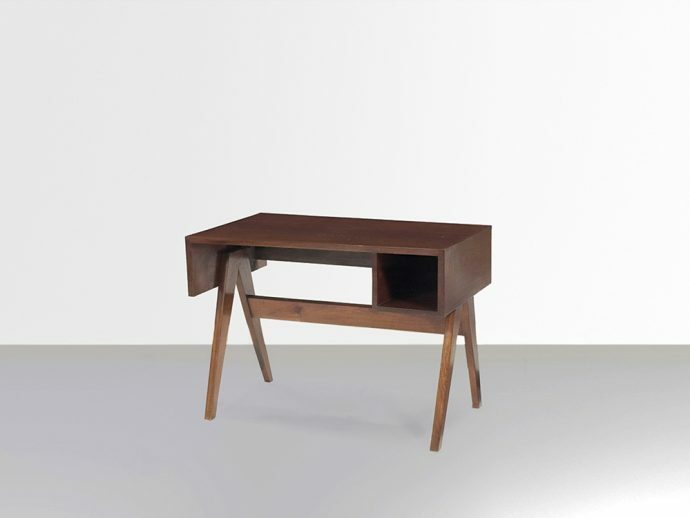 Pierre Jeanneret PJ-BU-08-D. Great desk from Chandigarh in Paris.